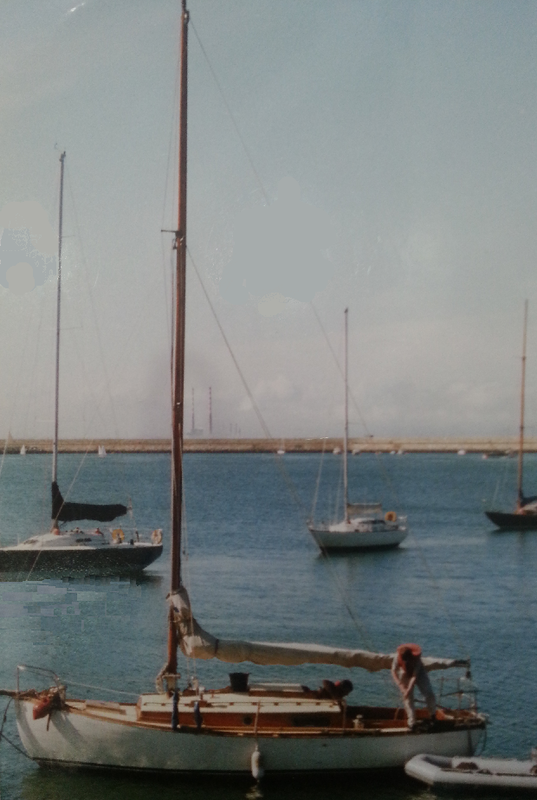 Simone Mancini, head of conservation at the National Gallery of Ireland, has been restoring a classic yacht in Dublin's Dun Laoghaire marina. The yacht is Kara Third, built to the Waterbug design, and one of the sixteen such vessels constructed in Brixham by the Uphams' yard between 1938 and 1960. It is thought that Uphams took a Harrison Butler design as their starting point, possibly his Cyclone II, but enlarged and with a fatter stern. The result was a bigger and, arguably, more sea worthy boat. Kara Third has certainly undertaken some impressive voyages, most notably one from Ireland to Greece and back in 2004. The HBA's Authentication Officer, Paul Leinthall-Cowman, has ruled that the Waterbugs are too far removed from any of Harrison Butler's designs to be considered genuine Harrison Butler designed boats. However, all sixteen are Invited Friends of the HBA. Simone has had many perplexing issues to resolve during his restoration of Kara Third not least of which has being trying to figure out if around one ton of lead blocks, free to move around in Kara Third's bilges, should be there or not, and, if so, how to secure them. Fortunately, Myriam Spicka, who owns another of the Waterbugs, Mowa, has been able to provide photographs of the balast arrangements on her boat. Kara Third's restoration, started in 2015, had progressed sufficiently well for her to be relaunched in 2017.